Those days are gone when you would had to use gas stoves and immersion rods for heating water to bath in the winters or in early mornings. Now a day, geysers from several trusted brands are easily available in the Indian markets. 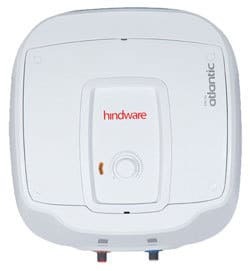 They run on electricity and are very convenient to use after installation in your bathroom. The geyser brands have their own customer base in the Indian electrical appliance market. A decade ago, geysers were only seen in hotels and homes of rich people. But now the geysers are easily affordable and are installed in several middle class families. The customers basically pick those water heater brands which provide them value for money, good after sales service, wide range of products, etc. The water geysers from this brand are painted in impeccable white which truly enhances the feature of the bathroom. The particular brand consumes 2000 w power. The best thing is that it is five stars rated which makes it consume less power. On the top of that, it offers the best insulation and protection from any damage. It is tagged with a price of only Rs 6799/-. The five star rated geyser that made into the homes of most of the households is available at Rs 3277. The best thing about the heater is that it consumes only 2000w power and has a capacity to preserve 10l of water. On the top of that, the interior components are labeled with a warranty for five years while the outer body is for one year. 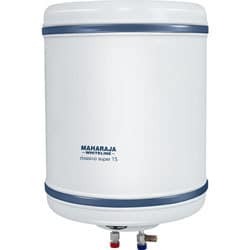 This is again one of the reputed water geyser brands offering you 15 l of water storage. It bagged a five-star rating with a power consumption extending to 2000w. You can install it vertically on the wall as the dimension 31.5 *36 cm shares a minimal area only. You can get this at a price rs 5950. In addition, it has five years’ warranty in the interior tanks and two years’ warranty on the exterior part. The pioneering brand has superbly welcomed winter with its 10 l storage water geysers consuming 2000w of power. As you know it is none other than Eveready so definitely you will get a warranty for two years on the exterior body, while four years is assured on the heating machine. On the top of that five years’ warranty is promised on the tank as well. Coming to the price tag, it is only Rs 5999/-. 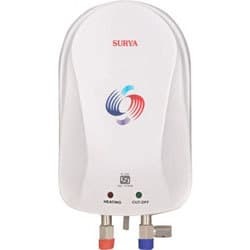 The Surya water heater is simply one of the best choices of the by and large buyers. Not only that its power consumption is 2000w but additionally you will get seven years of warranty on the tank. Coming to space it occupies on the wall that spans from 24cm*19cm, therefore, it looks less cluttered on the wall. No need to keep the fingers crossed as the price is only Rs 2898/-. Singer the brand has a long established identity, but today it also made a mark in the world of water geysers. It comes with a capacity of 25 liters consumes 2000w. The best is that it has a dimension of 52*43.5cm which indeed makes it look quite composite. Time to check its price which is only Rs 7399/-. Winter has officially entered the season and with its commencement, the water geysers are making a rage. In this category Maharaja Whiteline is one of the finest brands to talk about. Besides its amazing cool look, it offers power consumption of 2000W. It has a dimension of 59cm width to 37cm height. Moreover, it has the capacity to hold 15 l of water. Overall, you will get two years’ warranty on the item and five years on the tank. It is available at a price of 4999rs. This typical brand is again one of the favorites of the consumers. Although it consumes only 2000 w power but is a wonderful addition to high rise buildings. Nothing to worry while using as it offers layers of protection in terms of overheating and pressure. Make sure to check out the price that is Rs 7179/-. Now this one again holds 25 liters of water, quite valuable for any commercial space. In addition to that, it consumes the power of 2000w. Now it comes with a five years’ warranty on the tank and two years on the exterior part. Now its price which hits to Rs 5829/-. 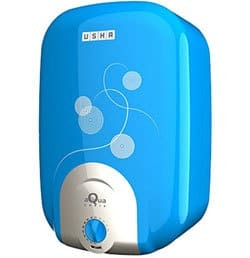 Usha water geysers are truly functional as it has a rating of five stars which means power consumption is quite less. Most importantly, you will get it at a dimension of 28cm*40 cm which fits snugly on the wall. Commenting on its price which is Rs 6399/-, quite much fair indeed. First of all, it comes with a storage capacity of 10 l. And its consumption of power is only 2000 w. In addition to that, it comes with a warranty for seven years on the tank and four years on the heating machine. On the top of that, the price is only Rs 5999/- which is really reasonable. Ferroli was established in the year 1955 in Italy and has been selling their water heaters all around the globe including India for decades. 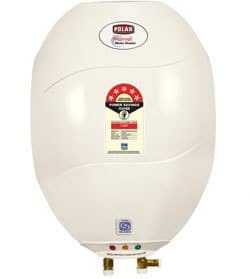 Best known for their energy efficiency, which is a very important factor in Indian appliance market, Ferroli has some great range of quality water heaters to offer. 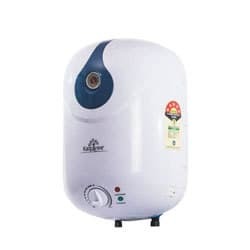 The 1 litre capacity Ferroli water heater comes at a price of as low as Rs. 3,000 while the 15 litre models may cost up to Rs. 9,000. 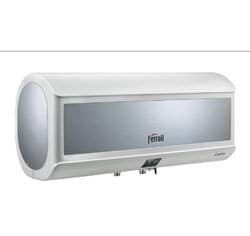 Minto, Caldo, etc are some favorite Ferroli water heaters for Indian consumers. Ferroli has a variety of water heaters for home and commercial use. Price starts as low as Rs 3000 for the least instant model. Italian company Ferroli is one of the founders in heating technology and their products are available over 100 countries around the world. They claim that their water heaters has 10% more energy efficiency than BEE 5 star rated product. This is filled with Blue Forever Heating Element and supports Digital Temperature Display. Other specifications of Ferroli water heaters are Long lasting Aluminum Anode, Healthy Blue Silicon Enamel Coated Tank, High Pressure Rating- 8 bar, Temperature Regulation etc. Havells is a reputed brand in the home appliance sector of Indian markets. 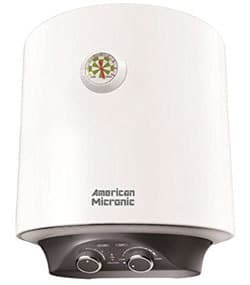 They have a wide range of water heaters in different price ranges to choose from. Also the products are available in various capacities. The Opal, Neo, Pro series water heaters are very popular in Indian water heater market. The price range of the Havells water heaters is Rs. 2,500 to Rs. Rs. 12,000. 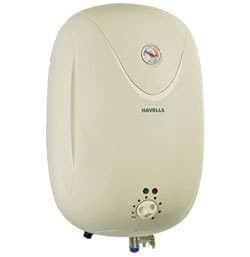 Havells offers new invention electric water heaters. They offer electric storage water heater and instant water heater. Havells water heaters filled with high voltage instantaneous heating choice. This is constructed with vitreous enamel coated tank. This product can give high working pressure and ideal for high rise buildings. Many products specify adaptable knob for temperature settings. Those water heaters are corrosion and shock resistant with ABS system. They specifications outer solid body and made this very easy to set up. Havells water heaters acquire heating indicator lamp, multi functional safety valve and leakage protection device. A renowned brand in the geyser market, Venus has a good customer base. 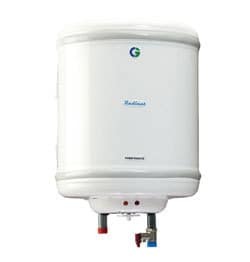 They are the first makers of geysers which have being awarded with ISI certificate for producing and marketing vitreous enamel tank water heaters in Indian market. It was established in the year 1967 and has their headquarters in the state of Tamil Nadu. The price of products starts from Rs. 3,000 for the low capacity models like 1 – 3 liters. And the high capacity models like above 15 litre geysers are priced above Rs. 10,000. 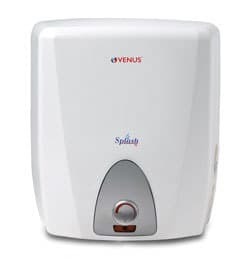 Venus water heaters are an additional best selling eater heater brand in India. You can purchase 100 % Original Product from primary online stores in India. The manufacturers offer 2+10 Years Warranty. This is filled with Thermostat & Thermal Cutout option. Venus water heaters come in solid size and supports 99.9% Pure Copper Tank. It also consists of a Multi-function valve and rust resistant body. 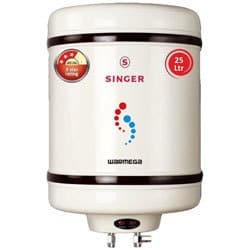 Established in the year 1936, this brand has been producing geysers in different price ranges and capacity range for Indian consumers. The 25 litre models may cost around Rs. 10,000 where as the low capacity models can be brought for around Rs. 3,000. Some successful models of Morphy Richards are Cutie, Lavo, Premio, etc. 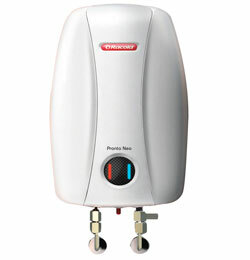 Morphy Richards gives wide variety of very resourceful water heaters for your home. You can choose from 1 Ltr product to 10 Ltr, 15 Ltr, 25 Ltr models. 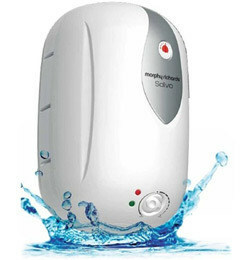 The highly reasonable and low cost model from Morphy Richards is the Multi Geyser Cutie 1L 3KW for Rs 2999/-. Water heater from Morphy Richard specifies a solid design with Rust proof engineering thermoplastic material. These water heaters are coming with amazing long life heating element and which is best appropriate for high rise buildings. You can employ those in small bathrooms and kitchen. The Triple safety system is also available with the heater. The peak models are coming with Superior Glass Lined Tank, advanced Glass Lined Tank, Magnesium Anode Rod, and Energy saving PUF. The Earth Leakage Circuit Breaker (ELCB), Incoloy 840 Heating Element, 8 Bar Pressure etc is also provided. 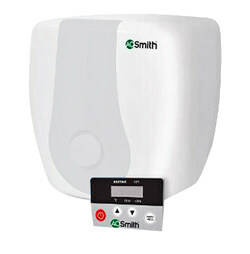 AO Smith offers several types of water heaters in India in several price ranges. The several technologies used in AO Smith water heaters are anode rod, wired remote controlled, thermal cutout, etc. This brand is one of the oldest brands to manufacture home appliances. It was established in the year 1874 and has been making quality geysers for consumers worldwide, including India. AO Smith gives high quality water heater systems. You can select 100 % Original Product from primary online stores in India. Significant choices and options obtainable in AO Smith water heaters are Wired Remote Controller, Glass Coated Heating Element, Thermal Cutout, BEE 5 Star Rating, Blue Diamond Technology, Anode Rod with Stainless Steel Core and safety valve. V-Guard started its operation with producing stabilizers back in the year 1977 but has made a good reputation as a trusted brand for water heaters in India. Steamer, Sprinhot, Iris, Pebble, Krystal, etc are some successful V-Guard models in the geyser department. The prices start from Rs. 2,500 and are up to Rs. 11,000 depending on their capacity and features. V-guard gives numerous devices for hot water flow in your restroom and kitchen. They give gas water heaters, wall mounted boiler, central hot water system etc. Various type Gas water heaters are offered and that contains balanced type, condensing type, forced exhaust type, natural exhaust type, outdoor type etc. You can regulate the temperature of water heater as this is filled with natural temperature adjustment. They are constructed with stabilizer oxygen free copper heat exchanger. V-guard water heaters also presents many safety protection. One of the popular water heater brands is Racold with the assured latest technology. 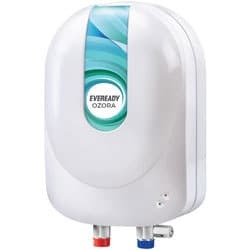 The brand provides highest range in water heater/geysers, which includes Electric Storage Water Heater, Instant Electric Water Heater and Premium Storage Water Heater. There are numbers of models available in which Pronto Neo and Pronto Instant are the best selling models. The products are well quipped and they are the energy savers as well. Best price: 2000/ onwards. Racold gives different designs of water heaters for kitchen and restroom handling. They are filled with High impact proof engineered plastic body and durable heating component. There are extremely potent Neon indicators for power on and heating task. Activa is the brand name of the famous J.K. Electricals Pvt. Ltd., mostly recognized as trustworthy manufacturers of the country. The brand offers various models in Water Heaters/Geysers such as Aqua, Hotline, Aqua-Gold, Premium, Hotmark, Sapphire, Executive and Amazon. The brand assures best quality and high performance in each product. It provides affordable and bet economical ranges at the best price of 1600/ onwards. 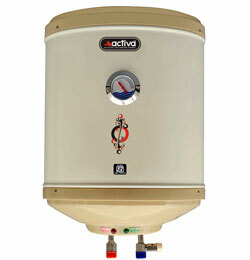 Activa water heaters are most excellent device with low price and superior features. all of them used ABS Plastic body material for long life. These water heaters are set with Glass Lined Coated tank substance. Extraordinary models are available and best fitting for High Pressure functions. Bajaj has been always a lead runner in the home appliance category in Indian markets since its establishment in the year 1926. Shakti and Majesty are the two best selling Bajaj geysers available in India. They are easily available in the retail outlets and the online stores on India. Many Bajaj service centres are also available all across India. 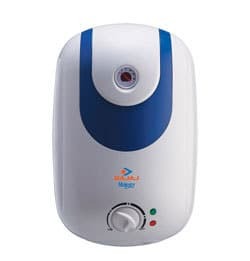 Bajaj issues wide range of water heaters for kitchen and restroom handling. They filled with High impact proof engineered plastic body and Long life heating part. There are extremely influential Neon indicators for power on and heating purpose. 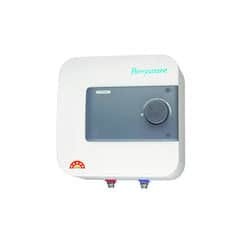 Numerous safety systems are also given in Bajaj water heaters. They offer a 2 years warranty on product and 5 years on inner Tank. If you are thinking of power saving, then you select 5 Star Rated water heaters. Few models consist of Salt filtration system which prohibits component corrosion. 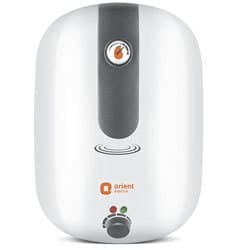 Another lead runner in the water heater market in India, this geyser manufacturer has products in the price range of Rs. 2,100 to Rs. Rs. 12,500. This brand was established in the year 1937. The Solarium series, Arno Power, Imperial, etc. 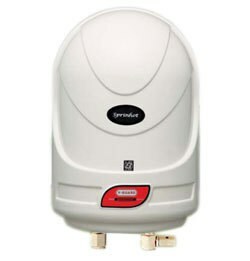 are some bestselling water heaters from Crompton Graves. They are easily available in the retail stores as well as online shopping websites. 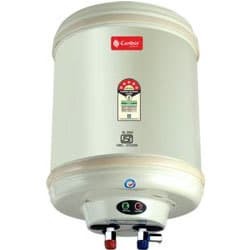 With good quality water heaters of every capacity group and a strong after sales service, Crompton Graves is no doubt one of the best geyser makers for Indian market. Crompton greaves water heaters are an additional finest choice for your home with excellence options and simple working methods. This water heater filled with great Quality and strong body. Most of them have Stylish Design and filled with Nano Polymer Coated Tank. The manufacturers give 1 – 2 year warranty based on product model.